Taiwan’s opposition party routed the ruling KMT in local elections held on November 29. On November 29, Taiwan held its “nine-in-one” elections, with over 11,000 posts up for grabs on local ballots. As the first elections since the Sunflower Movement protestors occupied Taiwan’s legislature back in March, the world was watching to see if popular dissatisfaction against the ruling Chinese Nationalist Party (KMT) would translate into electoral change. The answer was a resounding yes. During the last round of local elections in 2010, the KMT won 15 out of 22 county and city leadership positions. This year, the opposition Democratic Progressive Party (DPP) won 13 seats in what party chair Tsai Ing-wen called the DPP’s “best-ever showing.” The KMT was left with a mere 6 seats out of 22; three went to independent candidates. One of those independents, Ko Wen-je will now serve as the mayor of Taipei, Taiwan’s capital. Ko, a surgeon and political newcomer, won in a landslide over KMT candidate Sean Lien, the son of former KMT Chairman Lien Chan. For the last 16 years, the KMT has controlled the Taipei mayor’s office, making the 57.16 to 40.82 percent defeat all the more stunning. Ko emphasized his political outsider status in his victory speech: “I come from an ordinary background; I will listen to ordinary people,” he promised. In the aftermath of a huge loss, KMT leaders were in damage-control mode, hoping to reset the party before presidential elections in 2016. On November 30, both Premier Jiang Yi-huah and Party Secretary-General Tseng Yung-chuan resigned their positions. Taiwanese media reports also suggest that Ma himself will resign as KMT chairman in the coming days. KMT spokesman Charles Chen Yi-hsin told the South China Morning Post that “the chairman will make an important announcement during the KMT central standing committee meeting this Wednesday over the responsibility issue.” Chen also said Ma “will not cling on to the post,” heightening expectations Ma will resign. Ma would still serve out the remainder of his term as president, but his resignation as KMT chair could spark political in-fighting within the party. Some within the KMT may be glad to distance themselves from Ma Ying-jeou, whose approval ratings have been stuck at under 20 percent for months. Many analysts saw this year’s elections as a referendum on President Ma’s administration, as well as a potential preview for the 2016 president election. While Ma’s signature policy of seeking closer ties with mainland China has sparked a heated debate on Taiwan, many Taiwanese are just as concerned about a stagnant economy, food safety and political scandals. 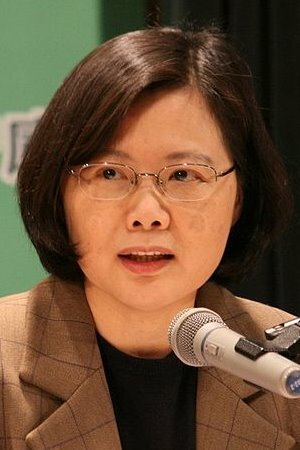 DPP Chairwoman Tsai Ing-wen claimed victory on behalf of her party, saying in a statement, “The Taiwanese people have spoken.” “Tonight’s election results are a historical prologue for change…From this moment forward, we will begin from the ground up and win back Taiwan, one step at a time,” Tsai added. The idea of the DPP taking back Taiwan will be worrisome to many in Beijing, who associate the party with the Taiwanese independence movement. Accordingly, Beijing has been reluctant to forge ties with Taiwan’s opposition, preferring instead to work almost exclusively with the KMT. However, with public disapproval of the KMT leading to a stinging electoral defeat, Beijing may have to brace itself for a DPP regime in 2016. A spokesman from the mainland’s Taiwan Affairs Office noted that Beijing was watching the election results in Taiwan. “We hope compatriots across the Strait will cherish hard-won fruits of cross-Strait relations, and jointly safeguard and continue to push forward peaceful development of cross-Strait relations,” the spokesman said, according to the Wall Street Journal. Hung Hsiu-chu is back -- now can she rebuild a fractured and damaged party?